Blog Quick Quotes: Good Times with Barb! TGIF!! Hi! Barb here to host the blog today and I am thrilled that the weekend is here! I plan on spending my time playing with Quick Quotes and Want2Scrap Products! Yay! 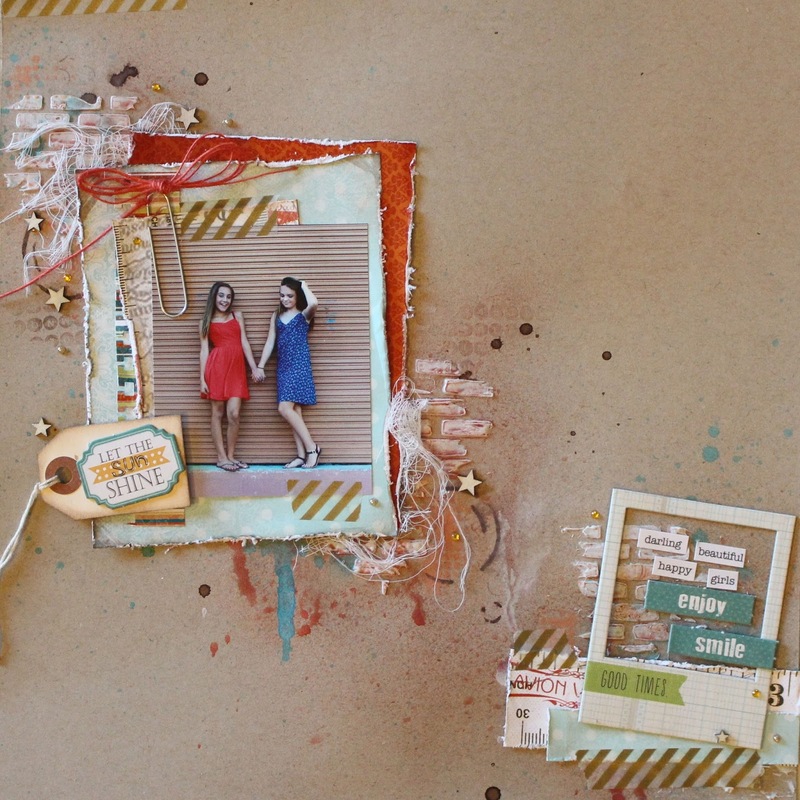 I got really messy on this layout of my daughter with her best friend! I used lots of inks, mists, and goop! 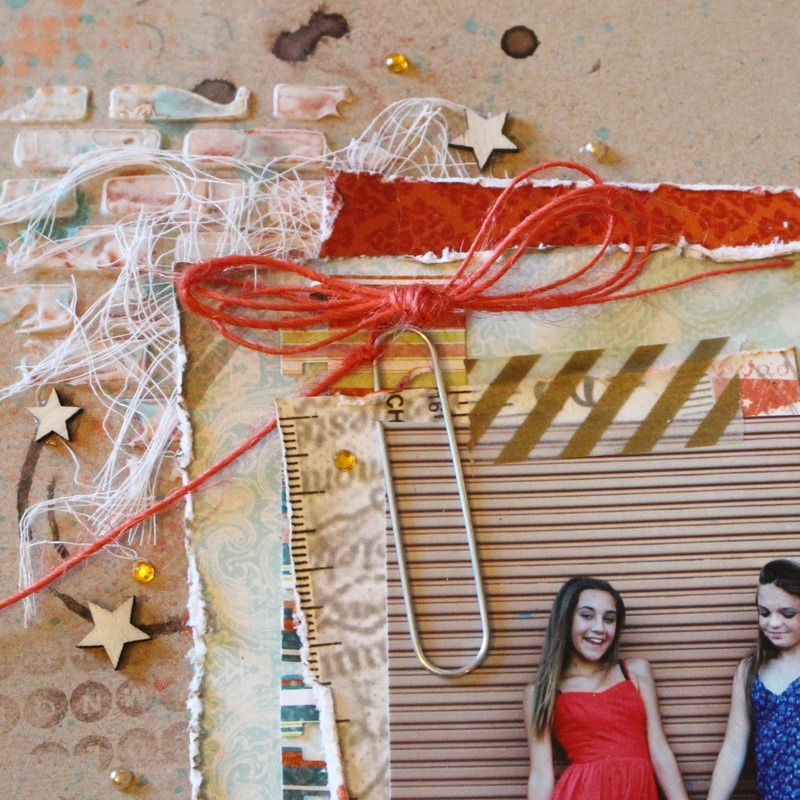 This photo is one of my favorites… the background is neutral and grungy and the girls are just enjoying a sweet moment together! Want2Scrap has this fabulous brick stencil that I LOVE! I couldn't wait to use it! I used molding paste to create the bricks and then went over each brick with Mango Mai Tai PowderPuff Chalking ink and then kept going with some mists! I layered some Quick Quotes Sheer Joy and Baggage Claim Lines over it! I also used some Want2Scrap Pearls and Bling and scattered them around the stars. I thought they were just the right amount of sparkle with the grungy mists! 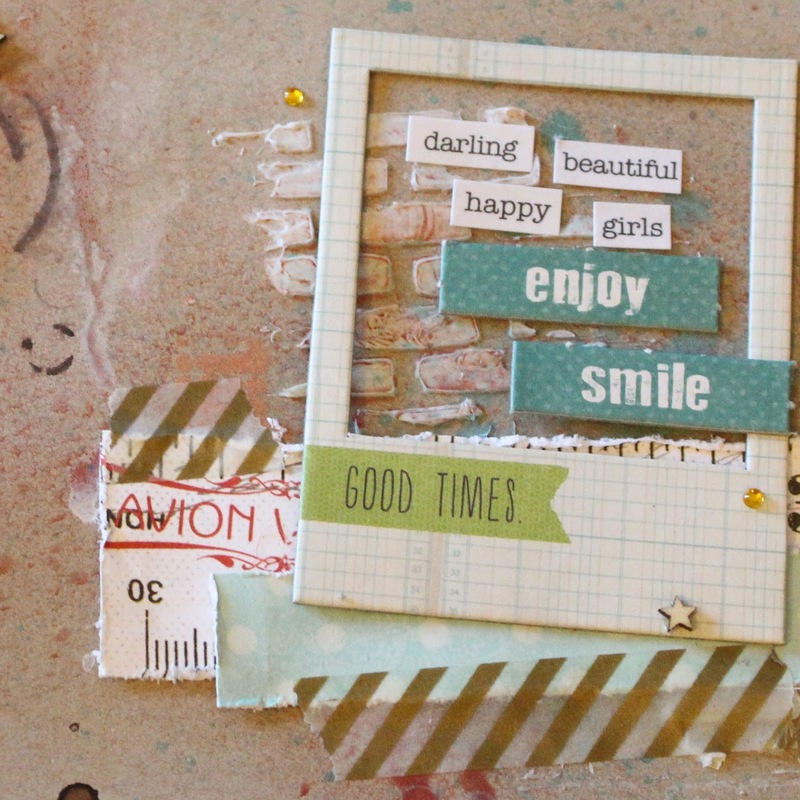 Thank you to Quick Quotes and Want2Scrap for letting me play with these fabulous products! Thanks so much for stopping on over to the blog today! I really really love this layout. Great job on the background!! Gorgeous page Barb! Fabulous photos and a wonderful design. Love your style! 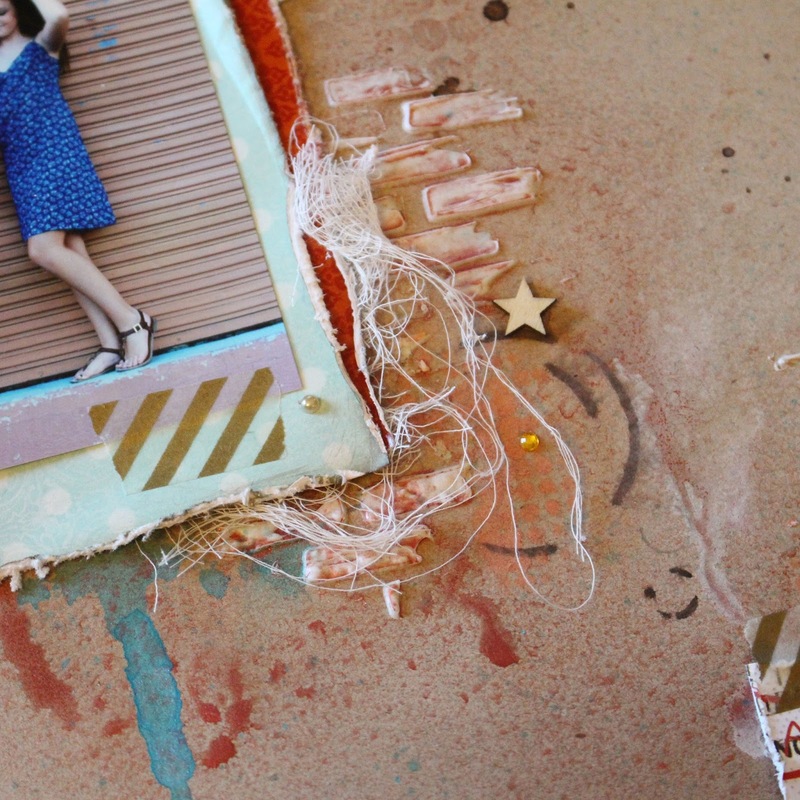 Love the way you used the polaroid to frame the journaling in the bottom right. Great touches with the bling and mists. Just fab!